Last weekend, Meat-and-Potatoes-Guy and I returned to a Tex-Mex restaurant we hadn’t been to in ages. I thought I remembered that the restaurant was a very popular spot. My memory served me correctly. We could hardly squeeze our way to the hostess stand, the place was so packed. Our name was called, then we received our food, and then we agreed: in this case, the wait was so worth it! It inspired me to try out more Mexican cooking at home – – the restaurant was jam-packed for a reason: the spicy, rich flavors are unbeatable. So this recipe is my twist on a Mexican favorite in America, the classic beef taco. 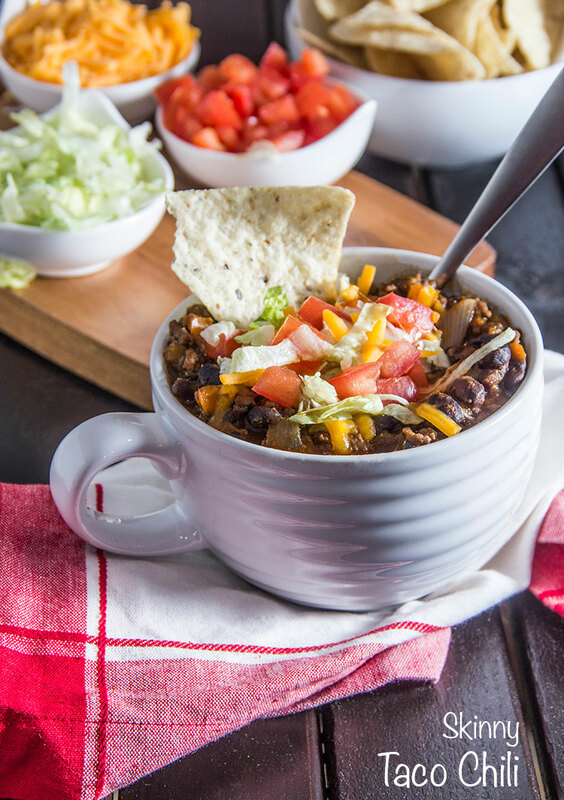 It’s a modern, healthy and whole taco chili! This dish takes about 30 minutes to make, and it tastes just like a yummy Mexican taco. 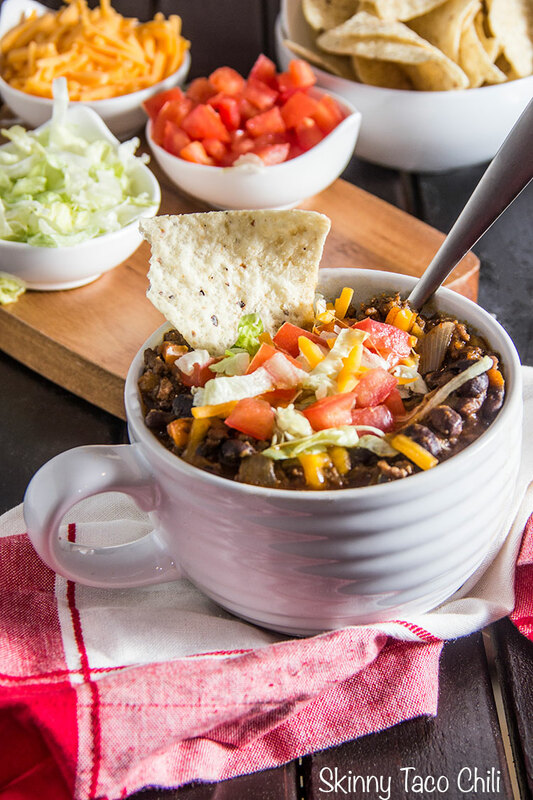 But this chili version is a cold-weather bowl of comfort food that also happens to pack in lots of nutrition at the same time (lots of calcium, vitamin A, Vitamin C, iron, protein, fiber, and potassium). 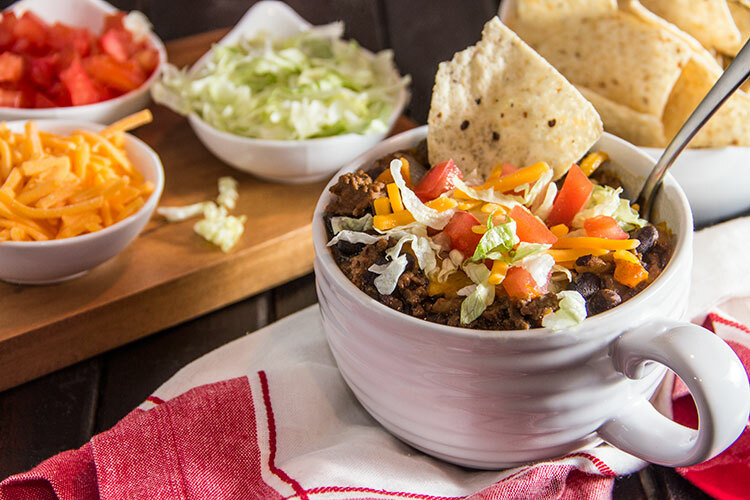 Here are the key ingredients you’ll need for this chili. I buy shredded lettuce and shredded cheddar cheese, just to save some time with the chopping and grating. 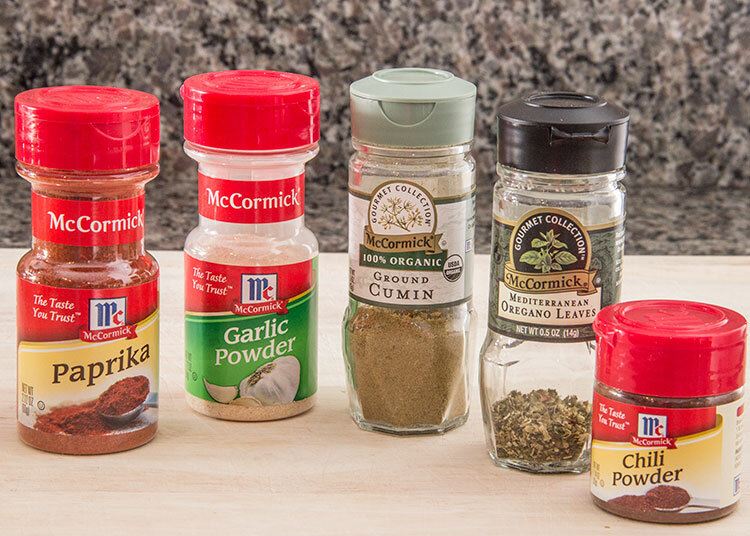 And here are the spices you’ll need to flavor the dish. 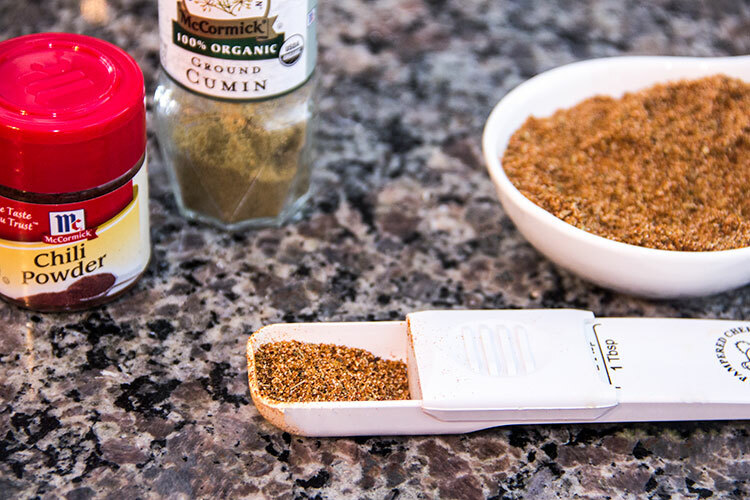 Begin by mixing up the Homemade Taco Seasoning: toss some cumin, oregano, garlic powder, paprika, and chili powder into a bowl. Then stir it all up until the spices are well combined. 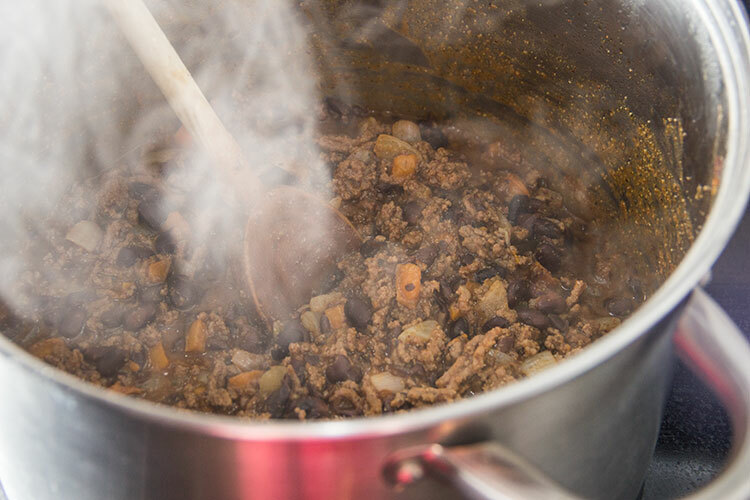 Quick Side Note: this blend gives the chili a taco flavor, so it’s not spicy. If you want to add some heat to the dish, you’ll need to add jalapeños or chipotles in adobo later on. 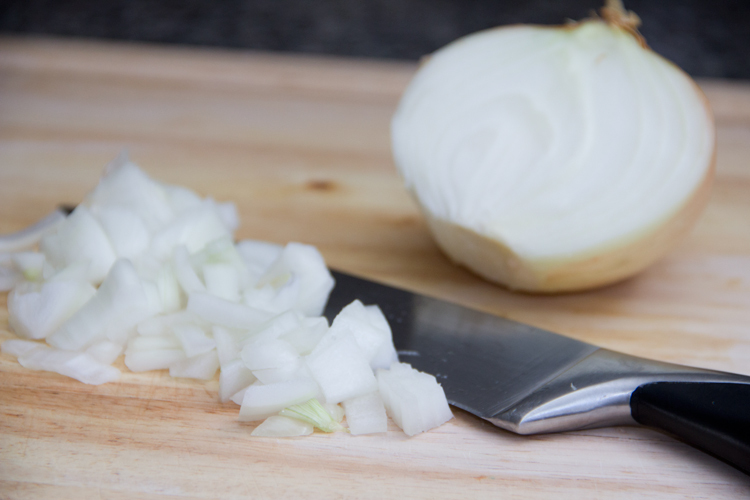 Next, chop the root end off of an onion and slice it in half lengthwise. 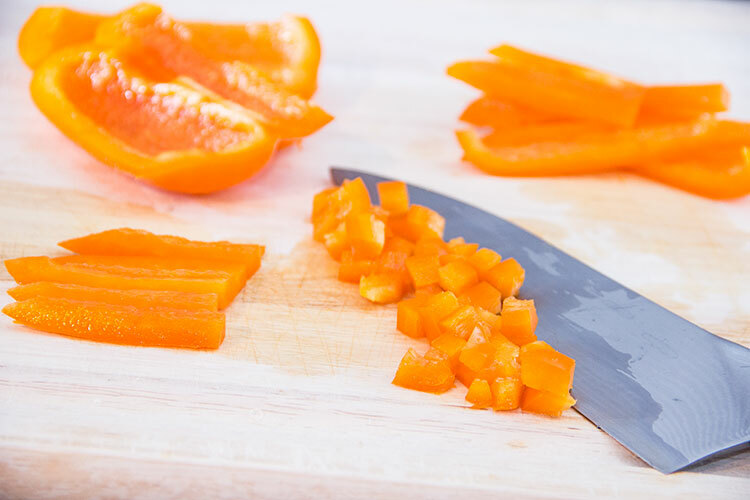 Then place each half flat-side-down on the cutting board and chop it up. …and dice up each quarter. 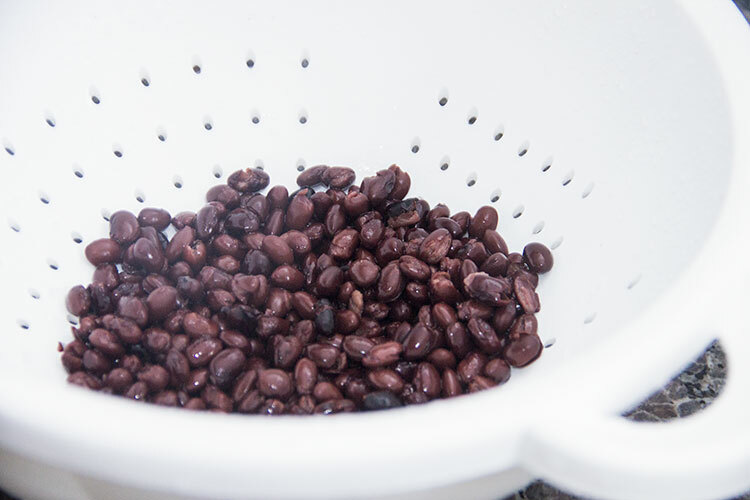 Open up a couple of cans of black beans, toss them into a colander, and rinse them thoroughly. 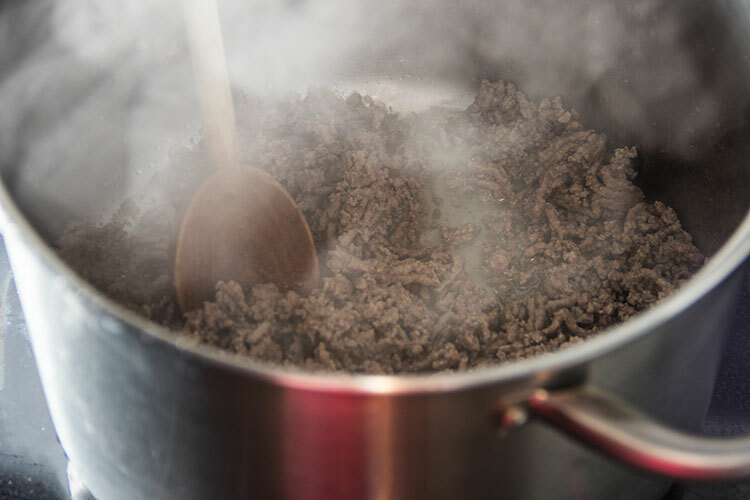 Then grab a large stock pot, turn up the heat to medium-high, and add some ground beef. I always try to buy 100% grass-fed beef (or “100% pasture-raised beef” is another term that means the same thing). Because if the meat is not labeled “100% grass-fed,” it means the cows are being fed corn instead of the diet they were designed by Mother Nature to eat, which is grass. While grass-fed cattle are able to graze outdoors, corn-fed cattle are generally crowded indoors and receive a feed that has been genetically modified and treated with antibiotics and pesticides. It’s a miserable existence and tragic treatment for the animals, but it’s not good for the people eating the meat either. 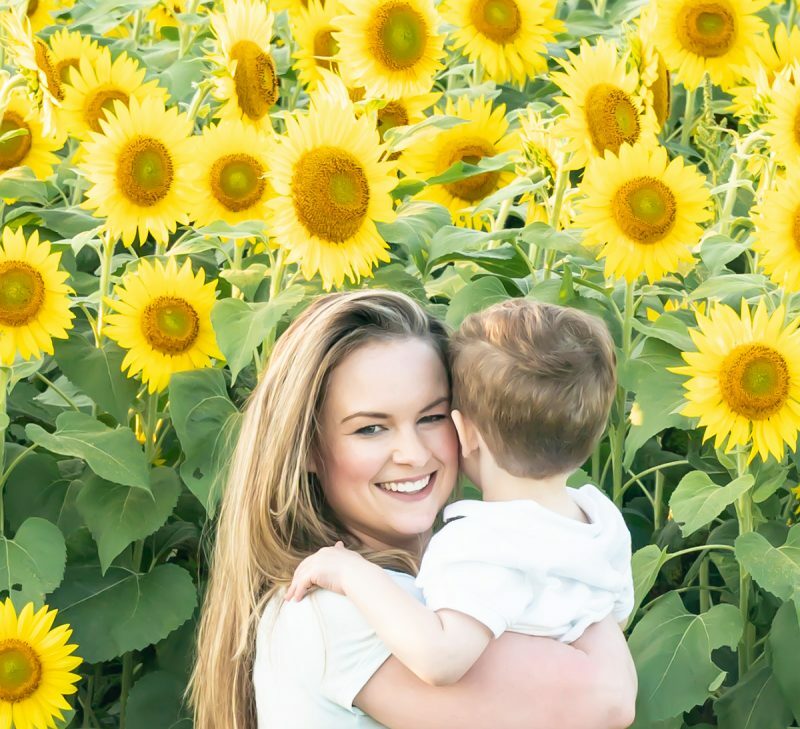 You’ve probably heard in the news about how people today really need more omega-3s in their diet – you might even be taking supplements! Grass-fed beef is naturally higher in omega-3s (as compared to the corn-fed kind). With grass-fed beef, you’re also skipping pesticide- and herbicide-filled GMO’s (genetically engineered corn) ingested by the corn-fed cattle. When we treat our cattle humanely, it’s not just the animals that benefit. We’re rewarded too, with more nutritious, less chemically laden meat! Grass-fed beef is generally more expensive though, but I stretch out the serving size in the recipe (so that half a pound of meat feeds four) by adding black beans and other veggies to the mix. 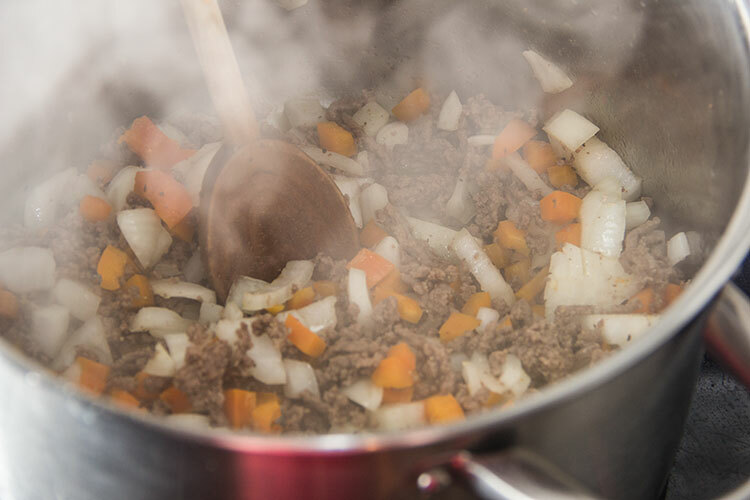 Break up the meat using a wooden spoon, and add the diced onion and bell pepper. Cook and stir for several minutes, or until the meat is browned and the veggies are softened. Quick Side Note: If you’d like to add some spiciness to the chili, this is the time to add a chipotle in adobo or a jalapeño to the pan. Add the black beans and Homemade Taco Seasoning, and stir it all up. Add some organic beef broth and allow the chili to simmer over medium heat, until you notice the liquid reducing down. 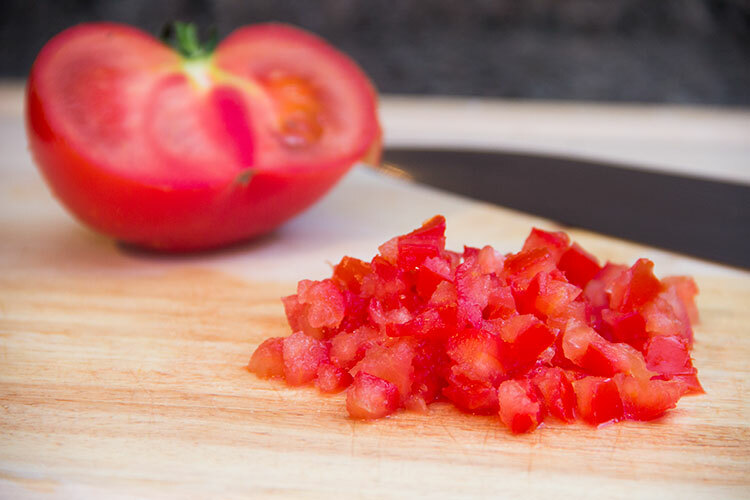 While the chili simmers away, dice up a couple of tomatoes. Then scoop the chili into bowls. …then add some fresh, crisp shredded lettuce and diced tomato and top it all off with a few crushed organic tortilla chips. This dish tastes just like a beef taco, but it’s the healthy, whole comfort-food-for-a-wintry-day version. You must never, ever skimp on (or skip altogether!) any of the toppings. 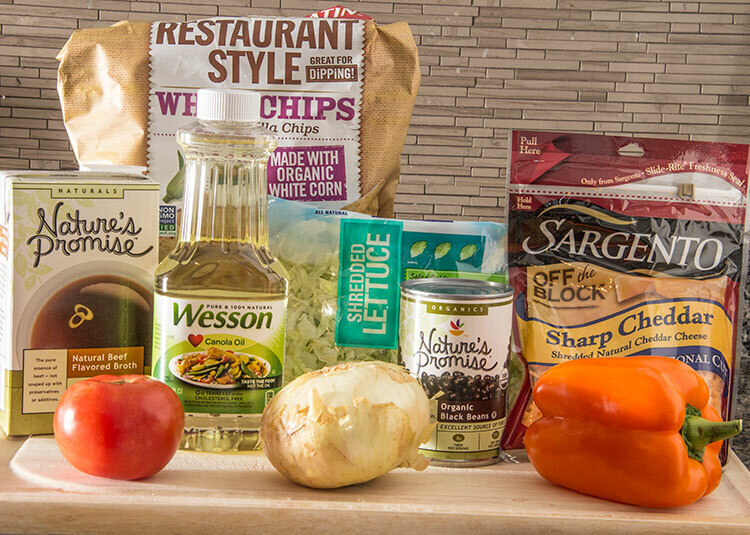 And, of course, tortilla chips for that oh-so-important crunch! Add the cumin, oregano, garlic powder, paprika, and chili powder to a bowl and stir until well combined. Heat a large stock pot over medium-high heat and add the ground beef. 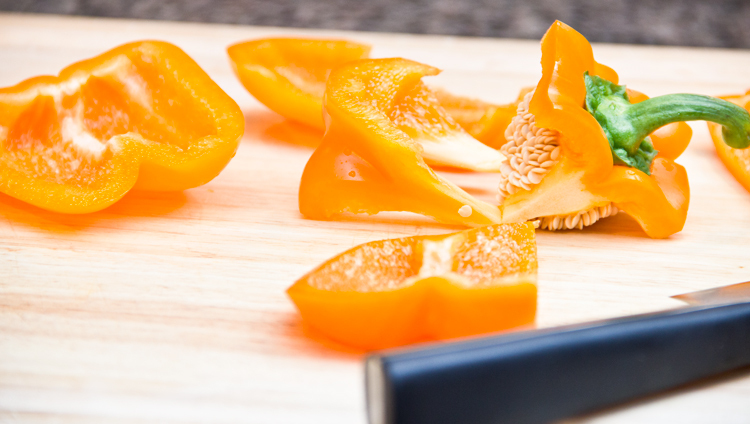 Break up the meat using a wooden spoon, and add the diced onion and bell pepper. Season with salt and pepper. Cook for about 7 minutes, or until the meat is browned and the veggies are softened. Reduce the heat to medium. Add the black beans and Homemade Taco Seasoning, and stir to combine. Add the beef broth and allow the chili to simmer, about 12 minutes. Season to taste with salt and pepper. 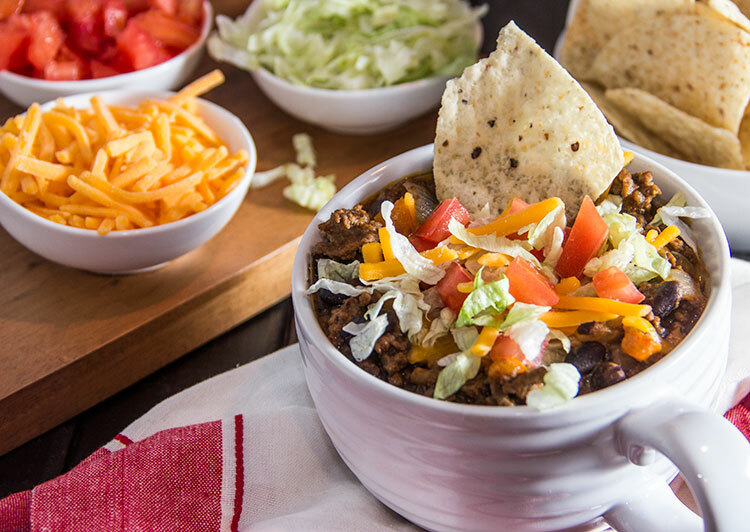 Transfer chili to large serving bowls and layer on first shredded cheddar, then diced tomato and shredded lettuce, and finally crushed tortilla chips. Sounds very yummy! I would add a nice dollop of low fat sour cream to top it off. Also, thank you for the information concerning grass-fed vs corn-fed beef. I love dipping tortilla chips into my chili, and this taco version sounds like a great change from every day chili! Yum. I love tacos in a cup (trying not to eat the breading these days) and a chili option is right up my alley! Saw this on Tasty Kitchen and had to come check out your blog! This looks gorgeous and sounds delicious! I’m definitely putting this on top of my list of things to try. Have a great weekend! That looks lovely and so tasty good!!! The good thing about mex at home is that I can at least resist the 857 chips that I would have eaten at the restaurant! LOL!